Only 4 left at this price. Order today! 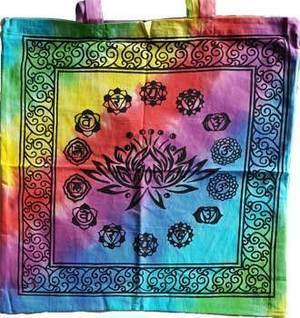 This 100% cotton tote bag, displaying a Lotus flower surrounded by Chakra symbols, tie dyed. 18" x 18"